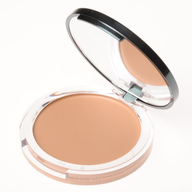 We offer a great selection of brand name cosmetics. Wholesale L'Oreal, Maybelline, Cover Girl, Revlon, Almay, Remmel, NYC, Jane, Sally Hansen, Garnier, and many others. We offer new merchandise, shelf-pulls, and overstock merchandise. Liquidations of closeout and bulk salvage merchandise may include eye shadow, lip liner, lipstick, eyeliner, lip glosses, foundations, mascara, make up brushes, nail polish, shampoos, hair products, powdered foundation and much more! Call today to receive our special offers and low prices. 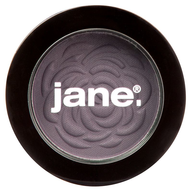 Jane Assorted CosmeticsAssorted cosmetics all new in original cases containing a mix of lipsticks, lip liners, eye liners, concealers, powdered makeup, mascara, eye shadow, blush, bronzers, lip gloss, makeup bags, nail polish, and much more! FOB Florida. Call for our special prices, we beat any price! Mary Kay CosmeticsAll new overstock and shelf-pulls cosmetics that may contain a mix of eyeliner, makeup remover, mascara, concealer, primer, foundation, loose powder, bronzing powder, makeup bags, pressed powder, lip balms, lip care, lipstick, nail polish, and much more! FOB Florida. Call for our special prices, we beat any price! Rimmel / Coty / NYC / Sally Hansen and More Assorted CosmeticsAll new overstock and shelf-pulls assorted cosmetics that may contain a mix of lipsticks, concealers, foundation, lip liner, eye liner, mascara, eye shadow, blush, bronzers, lip gloss, nail polish, and much more! FOB Florida. Call for our special prices, we beat any price! 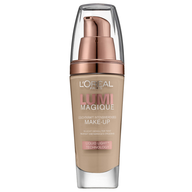 L'Oreal/Maybelline CosmeticsAll new overstock cosmetics with a huge selection of age perfect, blush, cashmere perfect, eye makeup, lip liner, eye liner, lip glosses, foundations, mascara, liner brushes, liner, pencils, manicure, nail polish, true match, voluminous, wear infinite, etc. FOB Florida. Please call for a special low price, we beat any price! 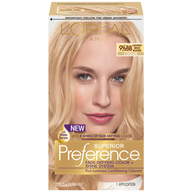 L'Oreal/Maybelline Hair Coloring ProductsAll new overstock with a huge selection of brand names such as, Chunking, Color Pulse, Excellence Crème, Lights, Frost & Design, Hi-Light Stylists, Natural Match Color Crèmes Gloss, Super Blonde, Dream Blonde, and more. FOB Florida. Please call for a special price. We beat any price! 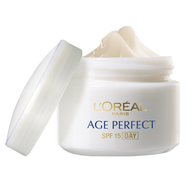 L'Oreal/Maybelline Skin Care ProductsAll new overstock skin care with a huge selection of daily moisture, age perfect, age perfect pro calcium, eye defense, eye make-up remover, wrinkle decrease, wrinkle defense, and more. FOB Florida. Please call for a special price. We beat any price! 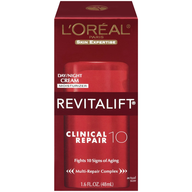 L'Oreal/Maybelline Skin Genesis Moisturizer LotionAll new overstock lotions that may contain oil-free and SPF 15 moisturizer lotions, 1.7 oz with bonus travel size serum concentrate, and multi-layer cell strengthening daily moisturizer. FOB PA or Florida. Call for special prices. We beat any price! 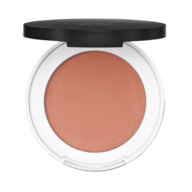 Maybelline CosmeticsAll new overstock cosmetics containing a mixture of lipsticks, concealers, foundation, lip liner, eye liner, mascara, eye shadow, blush, bronzers, lip gloss, nail polish, and much more! FOB Florida. Call for special prices, we beat any price! 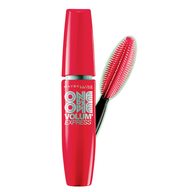 Maybelline MascarasAll new overstock assorted variety mixture of mascaras such as, Sky High Curves, Unstoppable, Lash Stylist, Full N Soft, Extreme Length, and more.FOB PA. Please call for a special price, we beat any price! 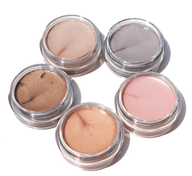 Cover Girl CosmeticsAll new overstock with a huge selection of age perfect, blush, cashmere perfect, eye makeup, lip liner, eye liner, lip glosses, foundations, mascara, liner brushes, liner, pencils, manicure, nail polish, true match, voluminous, wear infinite, and more. FOB Florida. Please call for a special price, we beat any price! All New Brand Name CosmeticsAll new overstock cosmetics that may contain a mixture of lipsticks, lip liners, lip gloss, lip treatment, mascara, eye shadow, eye liners, nail color, top base coats, nail treatment, blush, foundation, powder, concealers, makeup removers, cleansers and toners, eye care, anti-aging moisturizers, and more! Your cost is as low as $0.39 per unit. Minimum order is 10,000 pieces. FOB Florida. Order now and get the best! Sally Hansen Assorted Nail PolishAll new overstock and shelf-pulls assorted nail polish with different colors. FOB Florida. Call for our special prices, we beat any price! Garnier Hair ProductsAll new shelf-pulls containing assorted Garnier hair products such as, spray gel, texture gels, leave-in curl shine, shampoos, conditioners, soft curl creams, and much more! FOB Florida. Call for our special prices, we beat any price! 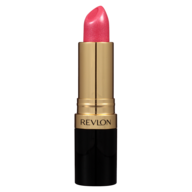 Revlon / Almay CosmeticsAll new overstock cosmetics with a huge selection of blush, eye makeup, lip liner, eye liner, lip glosses, foundations, mascara, liner brushes, liner, pencils, nail polish, and more. FOB Florida. Please call for a special low price, we beat any price!